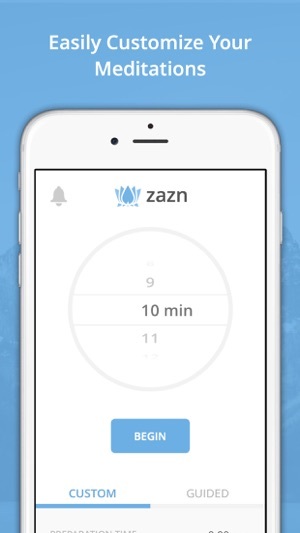 Zazn is a meditation app for beginners as well as experienced meditators. 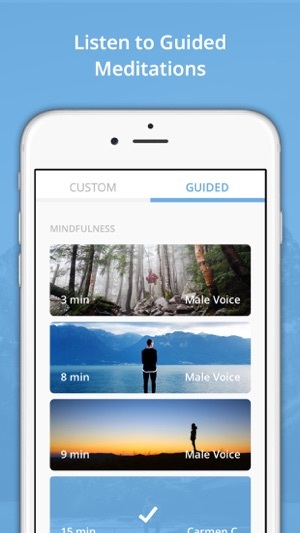 Customize your meditation with chime sounds, chime intervals, preparation time, and background sounds. Breathing exercises, body scans, mindfulness, and headache relief. 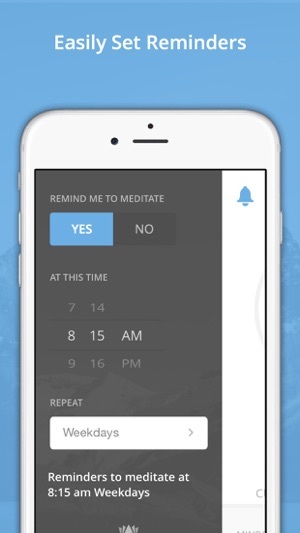 Easily set reminders to meditate. Every meditation finishes with a new quote for you to reflect on. I loaded this app on my iPod Touch and then discovered that you need an Internet connection to use the guided meditation feature. 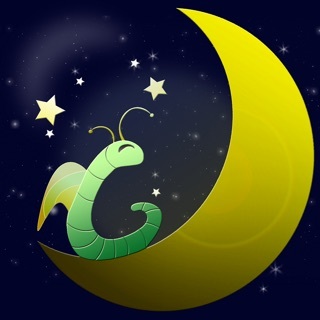 Since that is the feature I was most interested in, and since I do not always have a Wi-Fi connection, I ended up unloading the app. Too bad really as the brief listen I gave to the guided meditation options sounded good. No sound at timer end? 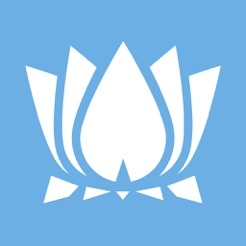 I haven't tried the guided meditations, but I've used the timer. My one qualm with it is that it doesn't make a noise when the time is up so it's easy to not notice and go over. 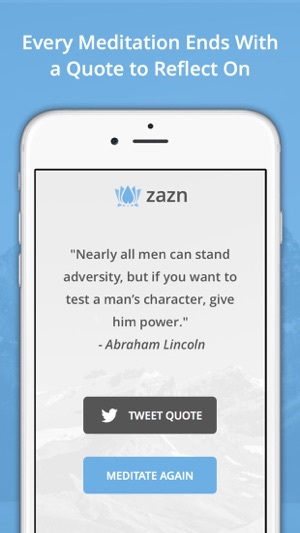 Either wise a great app.